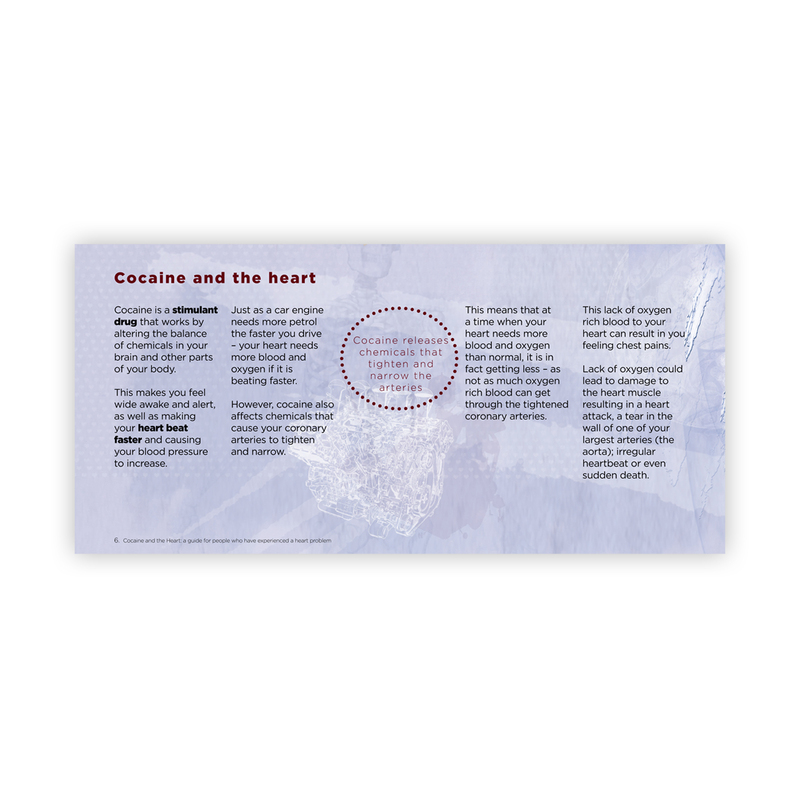 Cocaine and the heart - a guide for people who have experienced a heart problem. 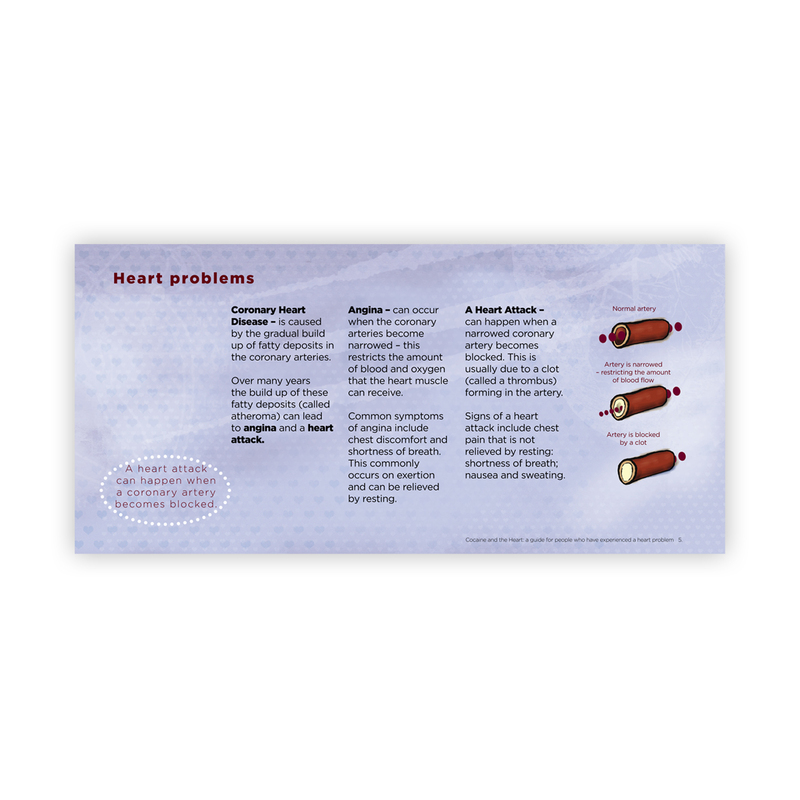 Originally written for use by coronary care teams, a useful guide to the causes and treatment of heart problems caused by cocaine. 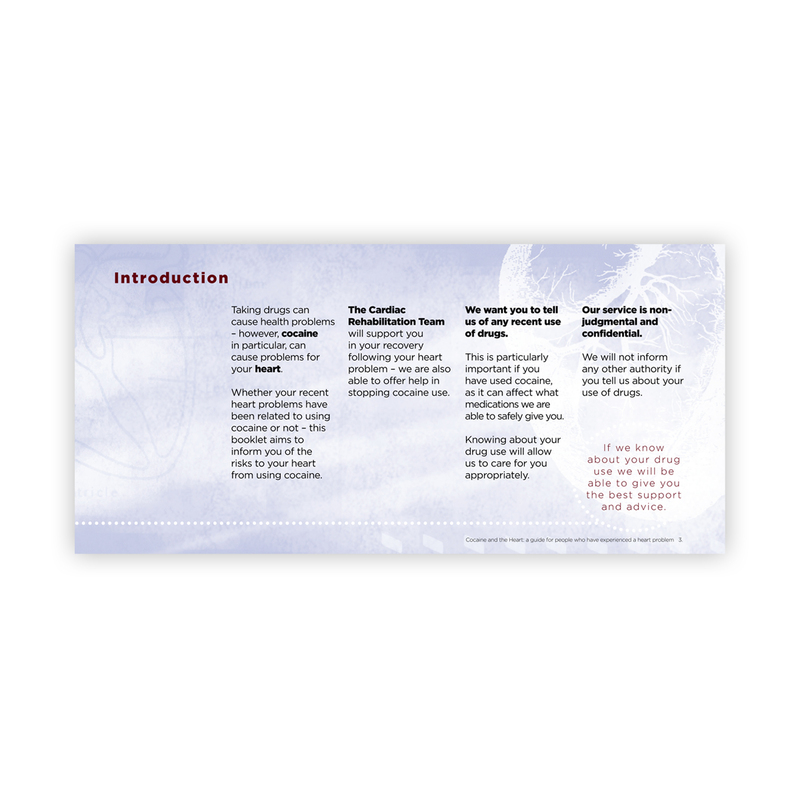 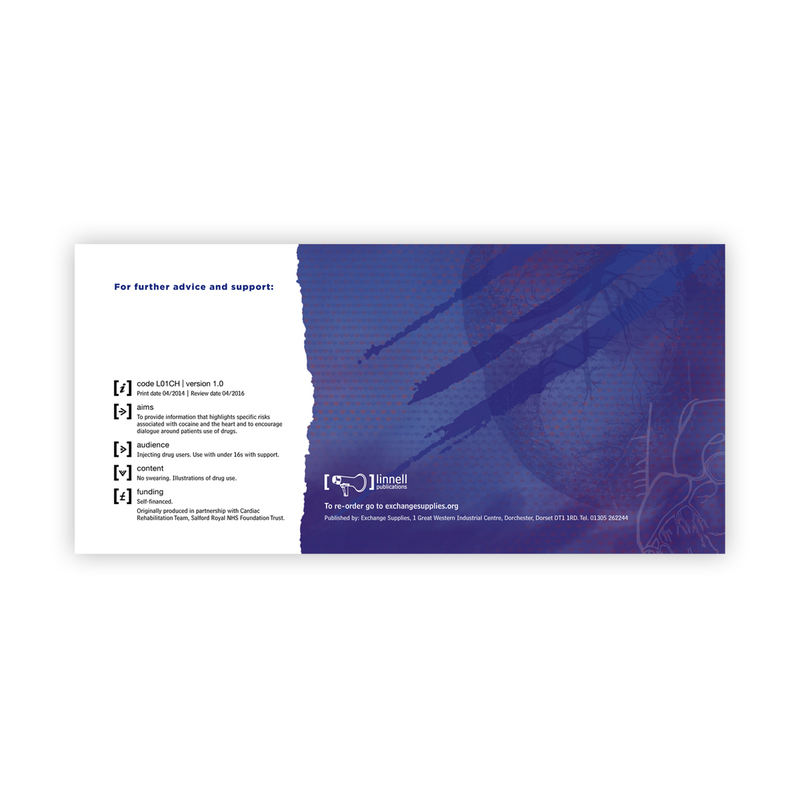 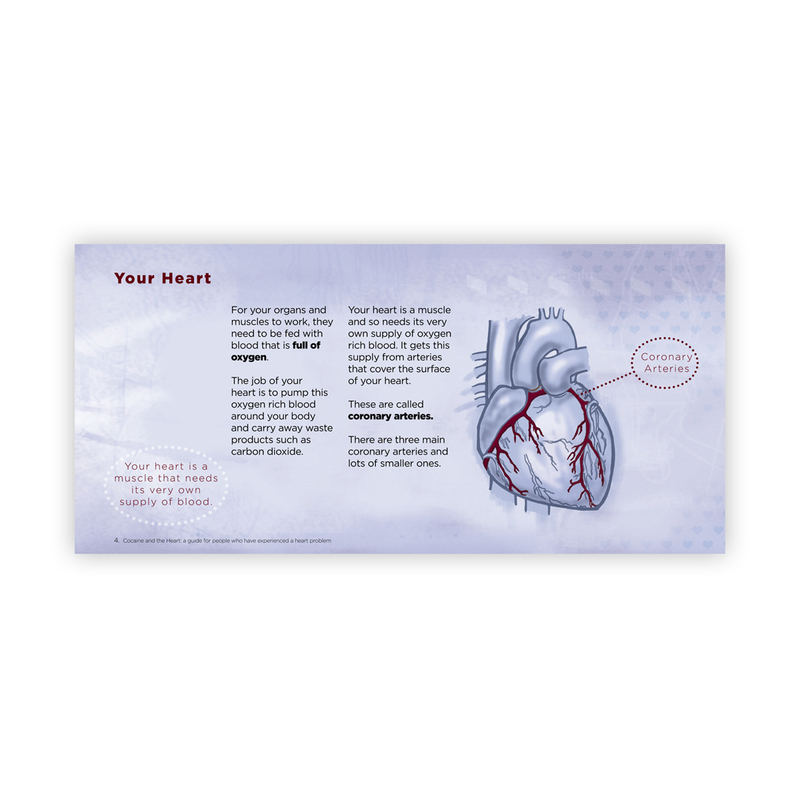 The booklet encourages an open dialogue between current and former cocaine users and coronary care service staff. 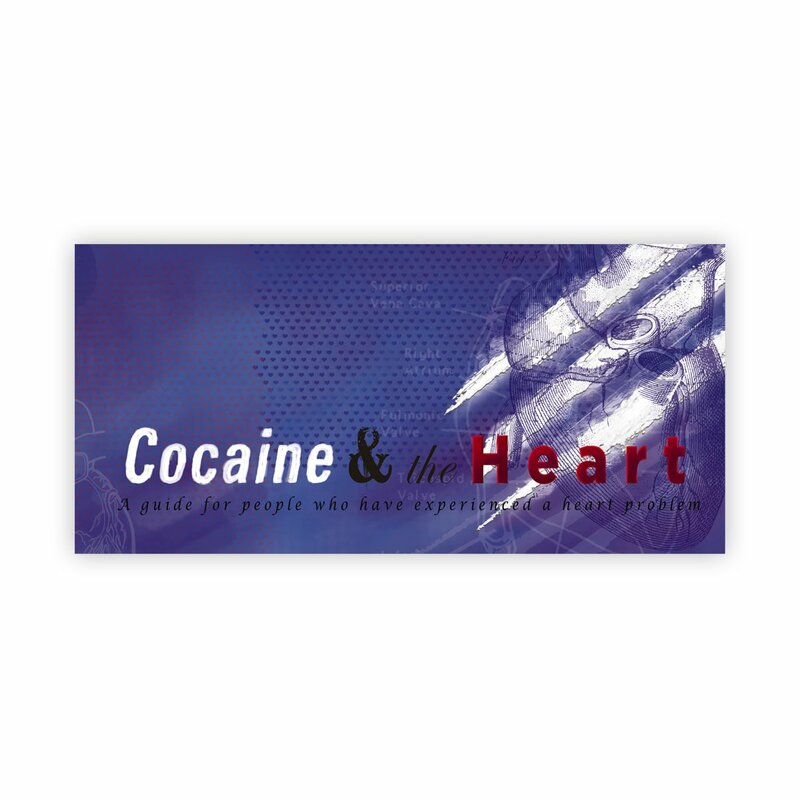 Cocaine and the heart can also be used by drug services to highlight the risks of cardiac problems for cocaine users.